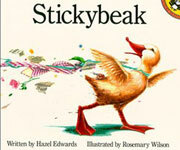 'Stickybeak' can provide an imaginative duck or pet theme for the kindergarten, classroom and the school community as a whole. Find more resources and classroom ideas for all Hazel's Books by clicking through to the Teachers Resources Page. Hazel's other duck- themed stories include the 'Duckstar'series.